Mpongwe District Council has disclosed that it intends to enforce a Boat levy on tourists ferrying water vessels into the District. 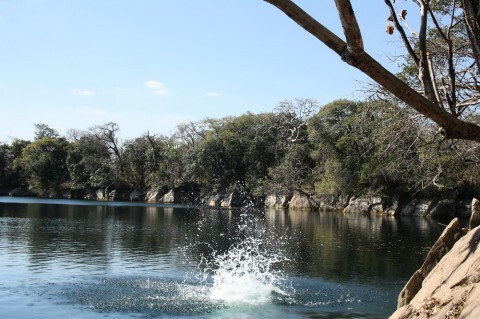 District Council Chairperson Boniface Chushi said the local authority will target tourists from all parts of the world coming to sample the district’s water resources. In an interview with ZANIS, Mr. Chushi stated that the council would make consultations with all stakeholders regarding the matter. “As we want to introduce a levy first we have to put it on a forum at which we shall discuss and see if it is going to help us as a local authority. We would love to take advantage of those from different countries like France, Germany and USA,” he said. Mr. Chushi further stressed the need for the local authority to maintain a conducive investment environment when instituting new legislation. Meanwhile, Mr. Chushi noted that the local authority is facing service delivery challenges due to inadequate funding. He said the roads in the district are poor and created transportation challenges for local farmers. “I just want to appeal to government to consider giving us some grants to be able to address some of the critical challenges that we are facing,” said Chushi.